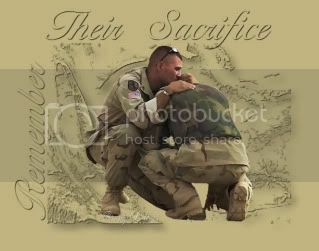 As of Friday, October 31, 2014, at least 2,350 members of the U.S. military had died in Afghanistan, Pakistan, and Uzbekistan as a result of the invasion of Afghanistan in late 2001, according to iCasualties.org. Army Maj. Jonathan D. Walker, 44, Merriam, Kansas, died Oct. 1, 2014 in Doha, Qatar, of a noncombat-related incident at Camp As Sayliyah. He was assigned to the Headquarters and Headquarters Company, 4th Psychological Operations Group (Airborne), Fort Bragg, North Carolina. Navy Cmdr. Christopher E. Kalafut, 49, Oceanside, California, died Oct. 24, 2014 at Al Udeid Air Base, Doha, Qatar, in a noncombat-related incident. He was assigned to Naval Amphibious Liaison Element, Combined Forces Air Component Center, U.S. Central Command. Marine Corps Cpl. Jordan L. Spears, 21, Memphis, Indiana, was lost at sea Oct. 1, 2014 while conducting flight operations in the North Arabian Gulf in support of Operation Inherent Resolve (in an incident initially classified as a non-global war on terrorism casualty). He was assigned to Marine Medium Tiltrotor Squadron-163, Marine Aircraft Group 16, 3rd Marine Aircraft Wing, I Marine Expeditionary Force, Marine Corps Air Station Miramar, California. Marine Corps Lance Cpl. Sean P. Neal, 19, Riverside, California, died Oct. 23, 2014 in Baghdad, Iraq, from noncombat-related causes while supporting Operation Inherent Resolve. He was assigned to 2nd Battalion, 7th Marine Regiment, Special Purpose Marine Air Ground Task Force–Crisis Response, Central Command, which has a headquarters element based at Camp Pendleton, California. 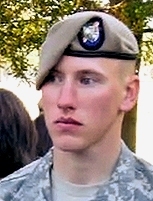 Former Army Ranger Pfc. Peter Edward (Abdul-Rahman) Kassig, 26, Indianapolis, Indiana, died on an undetermined date in October or November 2014, at an unspecified location in Syria, as the result of execution by Islamic State militants. He enlisted in the Army in 2004, joined the U.S. Army Rangers in 2006, and deployed to Iraq with the 75th Ranger Regiment from April to July 2007. He was honorably discharged for medical reasons in September 2007. He was captured on October 1, 2013 on his way to Deir Ezzour in eastern Syria while providing aid relief. Today we offer our prayers and condolences to the parents and family of Abdul-Rahman Kassig, also known to us as Peter. We cannot begin to imagine their anguish at this painful time. Abdul-Rahman was taken from us in an act of pure evil by a terrorist group that the world rightly associates with inhumanity. Like Jim Foley and Steven Sotloff before him, his life and deeds stand in stark contrast to everything that ISIL represents. While ISIL revels in the slaughter of innocents, including Muslims, and is bent only on sowing death and destruction, Abdul-Rahman was a humanitarian who worked to save the lives of Syrians injured and dispossessed by the Syrian conflict. While ISIL exploits the tragedy in Syria to advance their own selfish aims, Abdul-Rahman was so moved by the anguish and suffering of Syrian civilians that he traveled to Lebanon to work in a hospital treating refugees. Later, he established an aid group, SERA, to provide assistance to Syrian refugees and displaced persons in Lebanon and Syria. These were the selfless acts of an individual who cared deeply about the plight of the Syrian people. ISIL’s actions represent no faith, least of all the Muslim faith which Abdul-Rahman adopted as his own. Today we grieve together, yet we also recall that the indomitable spirit of goodness and perseverance that burned so brightly in Abdul-Rahman Kassig, and which binds humanity together, ultimately is the light that will prevail over the darkness of ISIL. The Pentagon on Friday reported the first death of a U.S. military serviceman in Iraq in its new mission to combat Islamic State militants who have seized large areas of Iraq and Syria. Marine Lance Cpl. Sean Neal, a 19-year-old from California, died in Baghdad on Thursday in what a Pentagon statement described as a noncombat incident. Further details about how Neal died were not immediately available. Earlier this month, a Marine [Cpl. Jordan L. Spears] was deemed lost at sea after he fell from an aircraft into the Arabian Gulf.